In the heart of the Clearwater National Forest, the Lochsa River (pronounced Lock-Saw) flows wild and free through North Central Idaho. 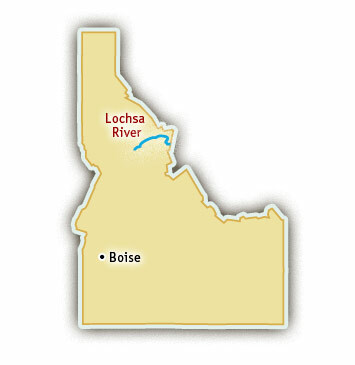 One of America’s first designated Wild and Scenic Rivers, the Lochsa is one of Idaho’s best kept secrets. 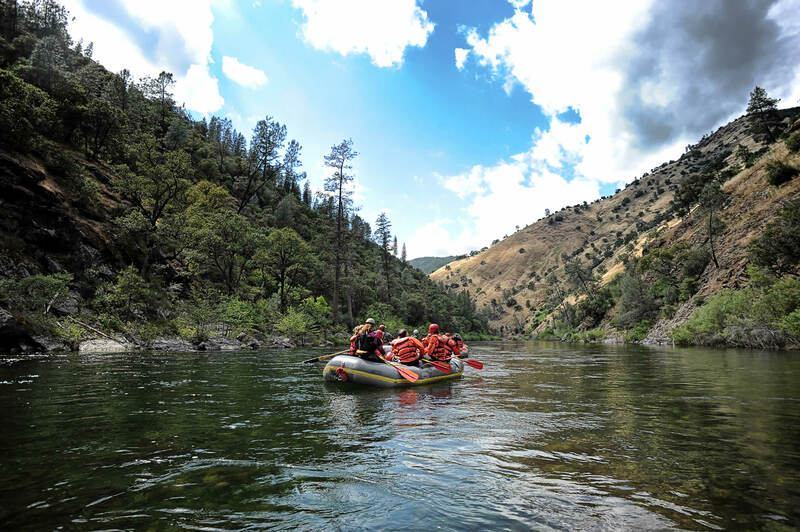 Lochsa River rafting trips are often likened to California’s Tuolumne River and West Virginia’s Gauley River because of its perfect combination of thrilling whitewater and astounding scenery. The Lochsa River begins high in the Bitterroot Mountains and flows freely for its entire length. The area was once inhabited by the Nez Perce Indians and Lewis and Clark spent part of their journey traveling alongside the Lochsa River on what is now Idaho’s Route 12. The Lochsa (pronounced “Lock-Saw”) means “rough water” in the Nez Perce language. With over 40 rapids in 20 miles, a rafting trip on the Lochsa River is most definitely an adrenaline seekers dream vacation. Some people compare a rafting trip on the Lochsa River to running all the rapids on the Grand Canyon in a day. While much of the whitewater is unnamed, rapids such as Grim Reaper, Bloody Mary, House Wave, Termination, and the famous Lochsa Falls require paddlers to “dig-in” and work as a team to get through. At higher flows, the Lochsa River provides non-stop action. The rapids are not necessarily more challenging with big water, but they are continuous, the water is cold (from snowmelt), and avoiding house-sized holes becomes imperative. In June and early July, the flows taper off and the rapids become more technical requiring a great deal of maneuvering. Regardless of the water levels, Lochsa River rafting trips leave nothing to be desired in the way of whitewater action. Beautiful scenery abounds in this part of the world. The Lochsa River flows through an inland temperate rainforest with lush vegetation and dense cedar groves. Quintessential Rocky Mountain scenes are plentiful in every direction. Wildlife sightings are frequent and include osprey, harlequin ducks, heron, eagles, deer, moose, and sometimes bears. Numerous fish species such as cutthroat, chinook salmon, steelhead, and rainbow trout, also call the Lochsa River home, making it an outstanding fishing destination. The Lochsa is completely dependent on snowmelt, so the season is typically May – July, sometimes into early August. The water is typically higher in May and early June with bigger waves and holes, and more technical as the water drops in late June and July.